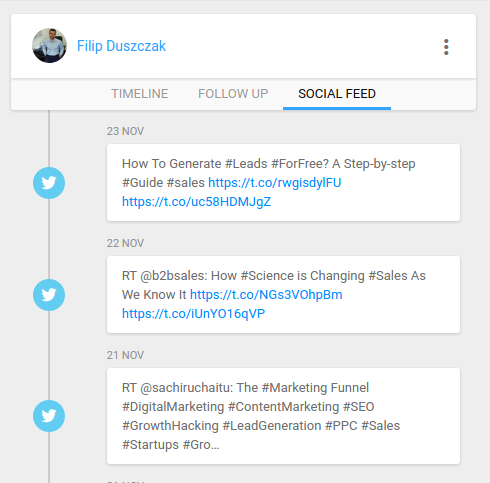 In InStream you can see your contacts social media activity. 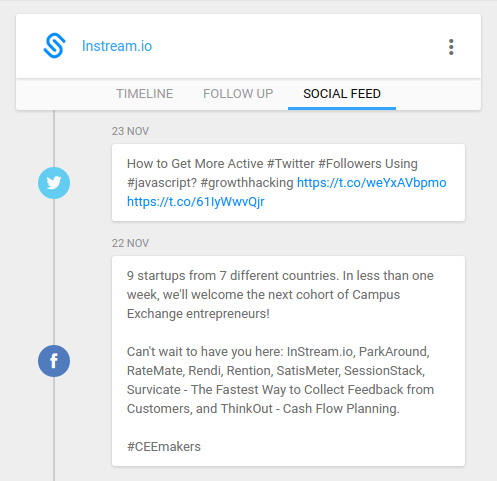 In the Stream View, you can see all tweets and public posts from Facebook. 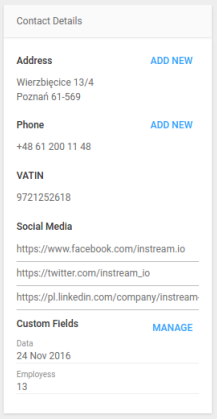 Additionally, in the Contact Detail View, you can see the job experience of your contact which is directly uploaded from LinkedIn. These features help your team to run more personalized conversations with your clients and raise their effectiveness based on social selling. It also saves time and helps to get to know your clients better. Go to the contacts tab, and choose the right contact. Click on it to open the contact detailed view. Next, enter the social media links to the contacts profiles. After you added social media links to your contact check the contact social feed. If you will open the personal relation social feed you will see all tweets and public posts from Facebook. If you will open the business relation social feed you will see all tweets and posts from Facebook.